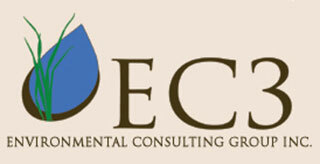 EC3 Environmental Consulting Group Inc.
EC3 Environmental Consulting Group, Inc. offers a wide variety of ecological and field management services including prescribed burning, management and restoration planning, consulting and site inventory analysis. EC3’s NWCG certified burn team is among the most highly trained and experienced in the great lakes region. EC3’s team has over 50 years combined experience while burning thousands of acres. Writing burn plans, obtaining necessary permits and proper burn break installation are an integral part of the process. EC3 provides assistance with grant acquisition and 2010 Wisconsin Prescribed Fire Council Contractor List conservation programs, site installation and maintenance, and control of invasive species. EC3 provides a diverse array of native seed species including pre-designed, conservation program and custom mixes. Client service will always remain our top priority. EC3 is fully licensed and insured in all aspects of its business including prescribed burning.